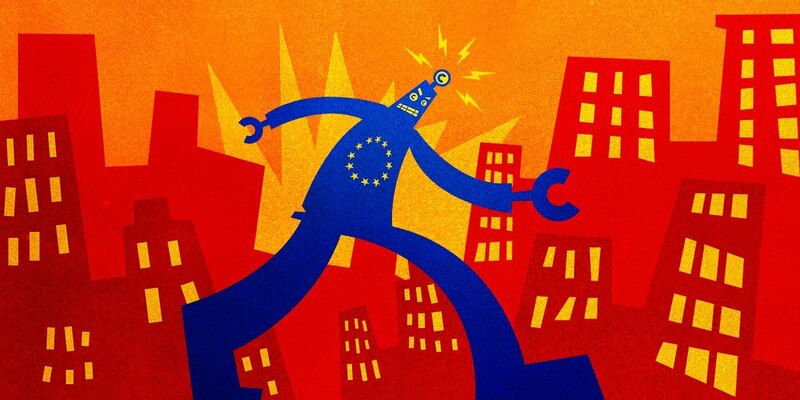 The months of debate over Article 13 of the new EU Copyright Directive (passed in a tragicomedy of errors when some MEPs got confused and pushed the wrong buttons), the most contentious issue was whether the rule would require online service providers to spend millions on copyright filters, which are known to be error-prone and the source of mountains of algorithmic censorship, as well as being easily abused by would-be censors who can make false copyright claims with impunity and use them to prevent images, videos, sounds and words from ever appearing on the internet. Now that the Directive has passed (barring a final formality: it still needs to be approved by the Council, whose members represent EU member-states), the critics are vindicated. It definitely requires filters. For example, the German negotiators who backed Article 13 said that the German version of the Directive would do away with filters and substitute some kind of copyright licensing system for them (this was a frequent argument made by people who insisted that filters would not be necessary). But Gunther Oettinger, the EU Commissioner who led the charge for the Directive, has now admitted that this will not work: "I am convinced that the guideline sets relatively clear guidelines. As things stand, upload filters can not be completely avoided." And then there's France, whose negotiators were so eager to see the Directive passed with Article 13 intact that they dropped their opposition to a Russian gas pipeline to get Germany to go along with it. Just hours after the Copyright Directive was fatfingered through the EU Parliament, the French government announced that they would rush it into law, and that filters would be mandatory: "I also announce that the Higher Council of Literary and Artistic Property, the HADOPI and the CNC will jointly launch in the coming days a 'Mission to promote and supervise content recognition technologies'." And since the tech platforms will need to comply with every EU nation's version of the Directive, if one nation requires filters, all 500 million Europeans will have to suffer under them.